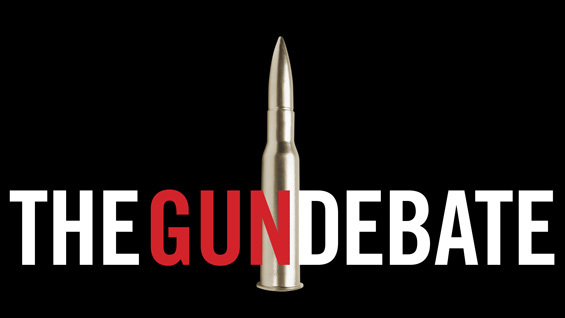 Right now I’m going to obliterate some of the arguments revolving around interpretation of the second amendment. If you want to get to the part about gun control measures, skip this paragraph. 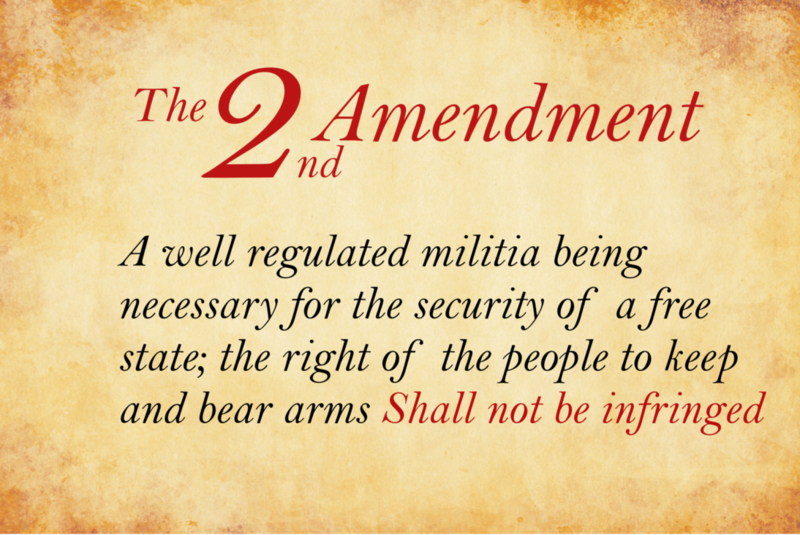 Here we go: the phrase “well-regulated” meant, and still does mean, functioning in order, as in: “a well-regulated clock.” The “militia,” as intended at the time of writing, meant the armed citizenry, not the Army or the National Guard. The entire clause following the word “State” (the operative clause) is, in any case, not restricted by the first part (the prefatory clause), which declares the purpose of, but does not limit, the operative clause. No, the second amendment does not support the right to own any weapon for any purpose; it is limited by US. v. Miller to weapons in common use. Nor is it only limited to muskets: just as the first amendment protects modern forms of speech, and the fourth amendment protects against modern forms of search, even so does the second amendment protect modern forms of weaponry, including and not limited to semi-automatic rifles (“assault” rifles). More can be found in DC v. Heller. Background checks? The number touted about that 92 percent of people are in favor of them doesn’t work out to be true; in the state of Washington, a pretty liberal state, only 59% voted for an initiative that would enact a private sales background check system [x]. That bill Trump signed that allegedly made it easier for mentally ill people to get guns? 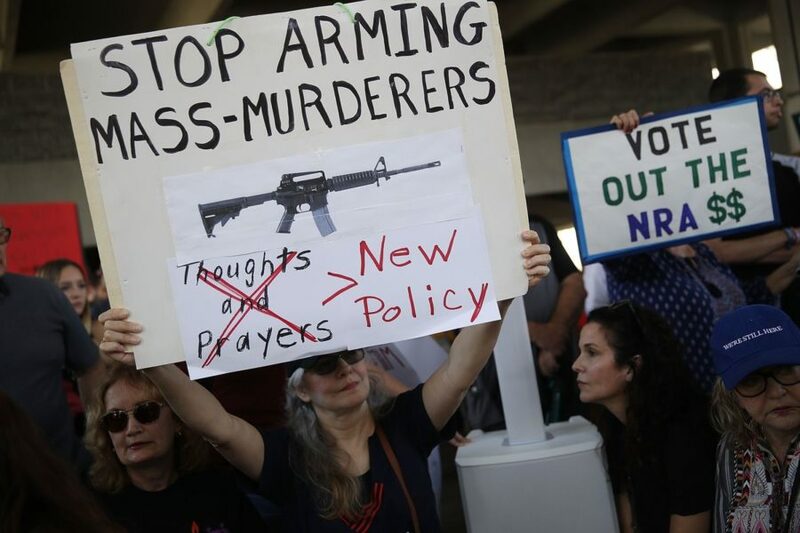 Both the ACLU and the NRA opposed it, and the Parkland shooter would have passed it because it only applied to people who didn’t manage their own disability benefits, which can include the elderly or the young, and in the words of the ACLU, “no data — none — show that these individuals have a propensity for violence in general or gun violence in particular”. By the way, the Parkland shooter would probably have passed any form of background check anyway, seeing as he didn’t have a criminal history and he wasn’t officially mentally ill, insofar as it would lead to failure of a background check. “Among prisoners who carried a firearm during the offense for which they were serving time in 1997, 14% had bought or traded for the gun from a store, pawnshop, flea market, or gun show… The percentage of inmates receiving their gun from family or friends rose from 34% in 1991 to 40% in 1997,” while getting a gun from the “street or an illegal source” was the source of the firearm for 39% of criminals [x]. In general, the purpose of the Second Amendment is for people to use for hunting, self-defense, and ultimately, as a guarantor of the rights of the people against the government. In fact, the firearm, which has been called, in some cases, the great equalizer, is the guarantor of autonomy and self-security for any individual against any other entity, and it is repugnant to the nature of this right to introduce such strict governmental interference. This is precisely why gun rights advocates oppose background checks for private sales of guns and a national registry of firearms. When Will We Make America Safe Again? “WE CALL BS!” Emma Gonzalez’s voice rings through my phone as she concludes her emotionally charged speech in Tallahassee, Florida. Emma, one of the Parkland school shooting survivors, gave a riveting speech calling out Congress and President Trump on their lack of action in the wake of the shooting and their unwavering support of the National Rifle Association (NRA). There have been nine school shootings since 2018 started and they have become commonplace in our society, yet Congress and the President have done ABSOLUTELY NOTHING to address this crisis. President Trump, we don’t need your thoughts and prayers. We need gun control legislation. There is a highly common misconception about gun control. No, gun control does not equate to taking away guns from law-abiding, mentally-fit, responsible citizens who use guns for sport and protection. Rather, gun control legislation limits the possession of guns by the mentally ill, people with ties to criminal or extremist organizations, and people who pose a direct threat to themselves or others. The NRA continually maintains and misinforms citizens that liberals want to ban all guns, but that is simply untrue. Many conservative politicians, journalists, and commentators have criticized liberals for pushing for gun control subsequent to the tragedy, as Fox News contributor Tomi Lahren tweeted, “Can the Left let the families grieve for even 24 hours before they push their anti-gun and anti-gunowner agenda? My goodness. This isn’t about a gun it’s about another lunatic. #FloridaShooting”. Carly Novell, a student who survived the shooting, tweeted back, “I was hiding in a closet for two hours. It was about guns. You weren’t there, you don’t know how it felt. Guns give these disgusting people the ability to kill other human beings. This IS about guns and this is about all the people who had their life abruptly ended because of guns.” I can’t help but agree. Imagine if Nikolas Cruz was unable to obtain any type of gun. Would 17 innocent students have died? Would 34 parents have to come to the realization that they would never see their children again? Would 17 families have to be forever wounded by this tragedy? The answer is NO. Guns are the issue here, more specifically, guns getting into the wrong hands. Republican members of Congress are so quick to say that guns should never get into the hands of those who pose a threat to themselves and their community. But why is it that these members CONTINUALLY voted against amendments that would keep guns out of the hands of these people? Here is a list of amendments that would have stopped guns from getting in the wrong hands, but were never passed and made into law. The Manchin-Toomey Bill, voted on in 2015, ensured that “all individuals who should be prohibited from buying a firearm are listed in the National Instant Criminal Background Check System, and provide a responsible and consistent background check process.” The bill was defeated in the Senate with 41 Republican senators voting against the bill and 4 Republican senators voting for it. The Murphy Amendment, voted on in 2016, expanded background checks to guns sold online and at gun shows. The bill was defeated in the Senate with 53 Republican senators voting against the bill and 1 Republican senator voting for it. The Feinstein Amendment, voted on in 2016, banned people on terrorist watch lists from buying firearms. The bill was defeated in the Senate with 53 Republican senators voting against the bill and 1 Republican senator voting for it. When will the NRA stop wielding its malicious and misguided influence? When will Republican politicians and Democratic politicians who have crossed party lines stop lying to our faces and pass effective gun control regulations that protect the innocent people of the country? When will NRA money start to mean less than our lives? When will Congress and Trump make America safe again?